Shy, reticent Virgo can't take the initiative, which makes Sagittarius think Virgo is prudish. Both have intellectual leanings so they may end up having some interesting conversations in bed. Elsewhere, Virgo looks for order and simplicity whereas Sagittarius looks for excitement and new experiences. Virgo wants a long term commitment; Sagittarius has to be free to roam. 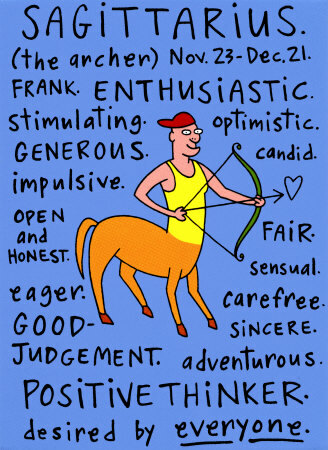 Sagittarius's slapdash ways irritate meticulous Virgo. When Virgo carps and criticizes this is sometimes a way of showing it cares, but Sagittarius will never understand that. Virgo will want to parent Sagittarius and look to Sagittarius to provide a safe haven - although Sagittarius is anything but... Little bodes well in this affair. Soul Mates Books at Amazon.